“Stellar!” “Inspiring!” “Powerful!” Audiences and Critics agree! “whatdoesfreemean?” is a must-see! Playing at The Tank, now through July 22nd! Tickets are only $20. Available at bpt.me/3456198 or at the door 30 minutes prior to curtain. No late seating. “Sometimes ‘Theater with a Message’ can be preachy or heavy-handed, but this show is far from that…. whatdoesfreemean? approaches incarceration with depth and candor and a bit of whimsy…. …AND OUR OPENING WEEKEND AUDIENCES AGREE! whatdoesfreemean? is the latest work by award-winning human rights playwright Catherine Filloux. 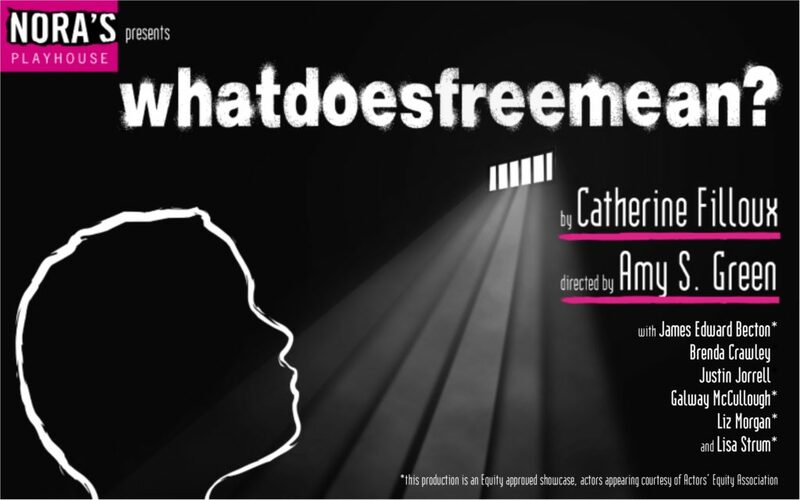 Directed by Amy S. Green, the cast of whatdoesfreemean? includes James Edward Becton*, Brenda Crawley, Justin Jorrell, Galway McCullough*, Liz Morgan*, and Lisa Strum* as Mary. Scenic and Lighting Design by Phoebe Mauro. Projection and Sound Design by Sadah Espii Proctor. Costume Design by Rashidah Nelson. Fight Choreography by Galway McCullough. Stage Management by Karen Oughtred. General Management by Rebecca Lovett. Graphic Design by Veronica Bella. General Press Representative is Susan L. Schulman. whatdoesfreemean? was developed with the support of Nora’s Playhouse. The Nora’s Playhouse production of whatdoesfreemean? is presented by The Tank. 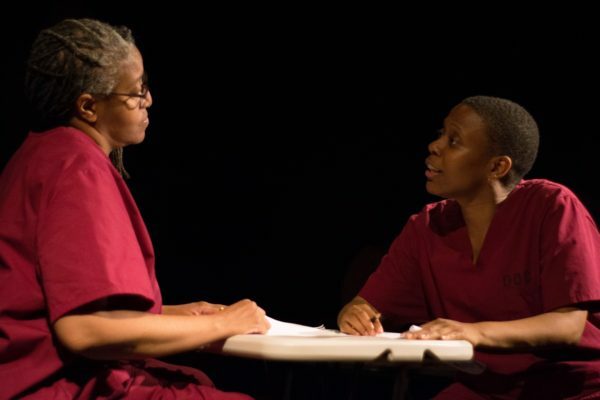 whatdoesfreemean?, a new play by award-winning human rights playwright Catherine Filloux, follows the journey of an African-American woman serving a long sentence for a non-violent drug offense. When Mary ends up in solitary confinement, she struggles to maintain her sanity. The play takes the audience into her psychic world. We travel alongside her self-guided intellectual and emotional journey into the nature of freedom, both physical and psychological, as Mary’s external and internal experiences unfold on stage in the present, in memory, and in the fantasies that help her survive. Directed by Amy S. Green, the cast includes James Edward Becton*, Brenda Crawley, Justin Jorrell, Galway McCullough*, Liz Morgan*, and Lisa Strum* as Mary. A DOLL’S HOUSE opens on February 8th! Congratulations to the recently announced cast of A Doll’s House! Rehearsals started this week and the production opens at Cloverdale Playhouse in Montgomery, Alabama on February 8th! Tickets are available now on Eventbrite! Nora, vibrant housewife and mother of three, appears to enjoy living the life of a pampered, indulged child. Nonetheless, she suffers from a crippling dependency on her husband. Nora’s acceptance of the status quo is put under a microscope and the illusions behind her marriage are exposed. Henrik Ibsen’s classic work examines fundamental inequalities surrounding gender roles, power, independence and money. In a time in our society where women still fight for equality and a voice, this classic work illuminates that as women and as humans, our choices are rarely easy and often come at great cost, and makes us examine which choices are worth it.